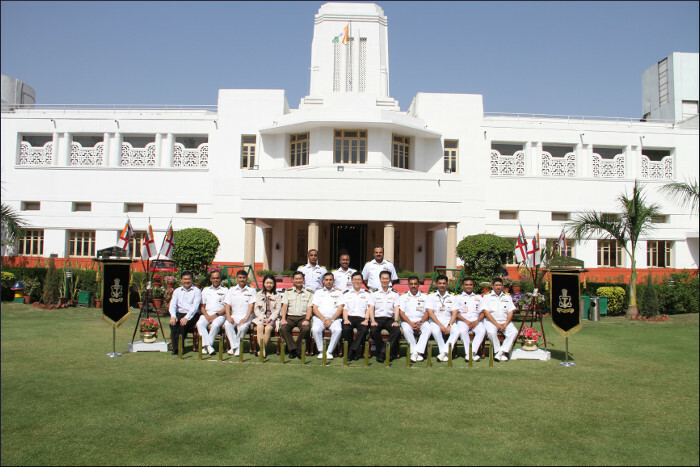 The 12th ‘Navy-to-Navy Staff Talks’ between the Indian Navy (IN) and the Republic of Singapore Navy (RSN) were held at Kota House, New Delhi, India, from 21 to 23 March 2017. 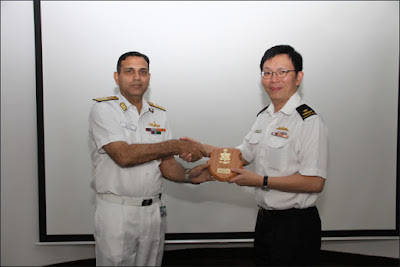 The Staff Talks were co-chaired by Rear Admiral Dhiren Vig, ACNS (FCI) from the IN side and Rear Admiral Timothy Lo, Head Naval Operations from the RSN side. Seeking to broaden the scope of constructive engagement, the staff talks resulted in meaningful discussions and an exchange of ideas on a number of issues which included IN participation in the MSP, Inclusion of Maritime aspect in Joint Military training (JMT), RSN 50 & IMDEX 17, SIMBEX 17, Training Cooperation, Exchange of White Shipping information and SME exchanges in the field of Special Forces. 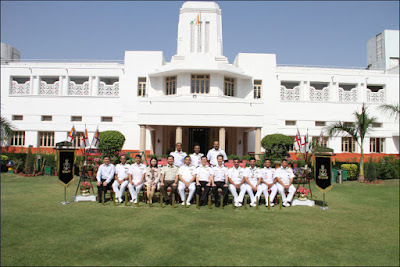 In addition to the Staff Talks, the RSN delegation also called on the DCNS on 21 March 2017 and held discussions on the future of Navy-to-Navy cooperation between the IN and RSN.